McCready, Friel, Virant Project Coming Soon? Seattle musician, Kim Virant, tweeted this picture claiming to be working on a project with Mike McCready and Rockfords drummer, Chris Friel. 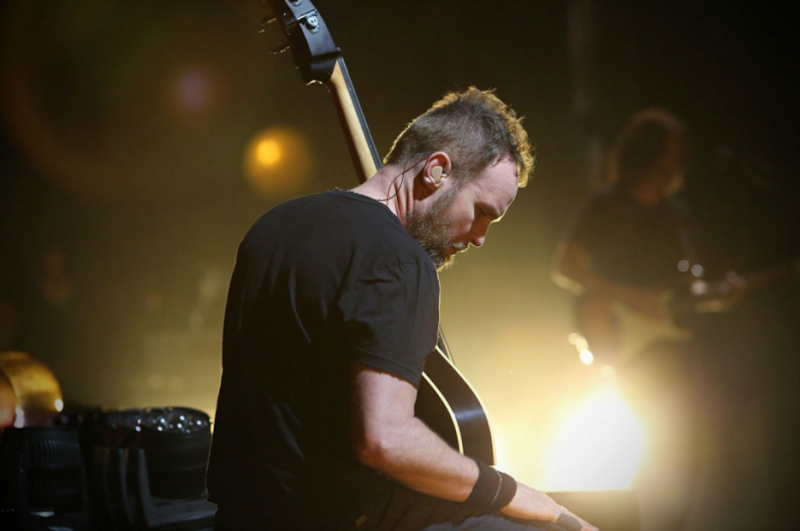 Is Mike squeezing in one more musical project before hitting the road for Pearl Jam's 2016 tour? Sure, but when will this hit the airwaves? No way to tell. If you are tired of using grandma's old milk crates to store your beautiful Pearl Jam collection, and you think it's time for a more refined option, Pearl Jam is now offering customized record bins. The bins are done in collaboration with Lookwright and are available in 12" ($100 + $15.99 domestic S&H) or 7" ($80 + $11.99 domestic S&H) sizes. At those prices, these will likely be for only the most serious collector, but with the following list of features, Pearl Jam will have no problem unloading their very limited supply. ALL MATERIALS, INSERTS, HARDWARE, PACKAGING, MANUFACTURING, ETC. SOURCED / COMPLETED IN THE BAY AREA, CALIFORNIA. RNDM is, of course, on the road with some funky cool posters to collect. Check 'em all out at Inside The Rock Poster Frame, the best rock poster blog out there. At any rate, you've got a few more chances to catch them. Since it IS Jeff's birthday, we should go ahead and report on a recent interview that we ignored because, ... well, we're busy. Jeff sat down with Rolling Stone for an interview about his feelings about touring, recording, and Pearl Jam's 25th anniversary. My quick summary should probably make clear why we've been silent about it until now. If you don't trust me, read the interview here for yourself. Is Pearl Jam working on a new album? No plans. It could happen at any time or maybe not. Will Pearl Jam play any more albums front-to-back in concert this time around? I don't know. If you are inducted into the Hall of Fame, how will you handle the "drummer thing?" I don't know. Will Pearl Jam still be touring when you guys are in your 70s? I don't know. Maybe.